Metromile is a San Francisco-based newcomer to the auto insurance market that offers pay-per-mile car insurance and a highly technological insurance system- just what you’d expect from Silicon Valley. The startup offers a revolutionary approach to car insurance rating and is currently available in a handful of states, with plans for expansion in the near future thanks to investors and growing popularity. Metromile was founded in 2011 in Redwood City, CA with the goal of making car insurance more affordable to those who do not spend a lot of time on the road. Two years later the company moved to San Francisco, where the headquarters is located today. In 2015, locations were opened in Boston as well as in Tempe, Arizona. While Arizona is one of the states they cover, Massachusetts is not currently covered, in spite of the opening of the Boston office. Currently, the company serves California, Oregon, Washington, Arizona, Illinois, New Jersey, Pennsylvania, and Virginia. They are looking to expand to other states in the near future. Shortly before this review, in July of 2018, the company secured Series E funding with investments from Japanese insurance company Tokio Marine and Canadian company Intact Financial. This new investment will likely lead to the expansion of Metromile’s market in the near future. Metromile has a modern and unusual approach to car insurance, rating vehicles based on a combination of the actual number of miles they are driven blended with the traditional approach. While all car insurance companies take annual mileage into account, they do not rate based on actual mileage. Monitoring systems offered by traditional insurance companies can offer rate reductions based on driving habits, but it’s not true pay-per-mile. Metromile uses a device that plugs into the car’s onboard diagnostic system, called Pulse. It transmits information back to the company to determine how many miles the car is driven. Through the Metromile app, the device can also provide the car’s owner with current information about the car’s “health” by reading mechanical codes. It can also be used to help locate a stolen car via GPS. Plans for even more technological advances in the future include the use of artificial intelligence (AI) in the claims process. Previously underwritten by American General Insurance company, Metromile began underwriting its own policies in 2016 – although they note that some (older) policies are still underwritten by American General. All new policies are underwritten directly. The company currently employs nearly 250 people, and it is growing fast. Policies are sold directly online as well as over the phone. Although they operate a little differently from other insurance companies in terms of rating, Metromile offers the same type of coverage options. We will take a look at the coverage options as well as breaking down the rating system Metromile uses to determine how much each driver pays. Currently, Metromile does not handle SR-22 or FR-44 insurance filings in any state except California – and then only under specific circumstances. Drivers who require a filing will need to obtain coverage elsewhere. Metromile offers multiple levels of liability insurance, with the low end starting at the state legal minimum. Personal injury protection, medical payments, and uninsured/underinsurance motorist coverage are all available either in compliance with state laws or as optional coverage. Comprehensive coverage and collision coverage can be added, with deductible options at $250, $500, or $1,000. All policies with both of these coverages include $1,000 in pet injury coverage at no extra charge, a benefit only offered by a handful of car insurance companies. Additional add-on options are similar to those at other insurance companies, including rental reimbursement and roadside assistance. Metromile keeps things relatively simple as part of their approach to car insurance, they do not have any of the more gimmicky and trendy add-ons we see at other car insurance companies, like accident forgiveness or disappearing deductibles. It is in the pricing department that Metromile really stands out. They start with a base rate that is calculated in a more traditional way – your driving record, where you live, the type of car you drive, and your years of experience all have an impact on this rate, just as with any other insurance company. The base rate is calculated on a per-day basis so that in shorter months the bill will be smaller and in longer months a little more. On top of this base rate is the per-mile rate. This is based on the information transmitted by the Pulse device, and it will differ each month. Each bill will, therefore, include next month’s base rate, calculated based on the number of days, and the per-mile charge for the previous month. Thus, if you are paying a bill at the end of June, you will be charged a base rate for the 31 days in July, as well as the total miles, driven in June. What this means is that no two bills will be the same, which may be a bit frustrating to those who like to keep a tightly planned budget. The rating amounts (the base rate and the per-mile rate) are guaranteed not to change during the 6-month policy duration unless you make a policy change. They may increase on policy renewal, however, based on a number of factors. To allow for occasional longer drives – like road trips – Metromile caps the number of miles charged in a single day at 250 (150 in New Jersey) so that even if you drive 1000 miles in a day, you will only be charged the daily limit. This system is likely to mean much lower rates overall for those who do not drive a lot of miles, but it will probably prove more expensive if you have a long commute or drive long distances on a daily basis. Since Metromile handles things differently from other insurance companies, they do not have the same type of discounts we see from other companies. They do offer a multi-car discount for insuring more than one vehicle with the company, but we were unable to find any sign of other discounts. Their pricing system encourages drivers to earn their own discount by driving less whenever possible. The Pulse device is the heart of the Metromile auto insurance system. It works similarly to the telemetric devices used by other insurance companies to monitor driving habits, but unlike most others, it isn’t keeping tabs on your driving habits other than the miles you drive. In addition to submitting your monthly mileage to the insurance company, Pulse also transmits information to the app, which customers can use to keep tabs on their vehicle. It is not necessary to use the app, but it’s offered as an added bonus. The Pulse device connects to the same system that monitors your car and sends up what are known as “codes” when something is wrong – otherwise known as the check engine light. The Metromile app receives these codes and can decode them for you – telling you what is going on with your car. Additionally, Pulse is a GPS device. That means it can help you find your car, whether it has been stolen or you just forgot where you parked. It will even notify you of impending street sweeping so you can move your car, and help you track your own driving habits. These features can be disabled if desired, although the mile tracking cannot since it is necessary for rating your policy. In keeping with their modern approach, Metromile offers more than one electronic option for claims filing. Claims can be filed online on the Metromile website. They can also be filed on the app; their app filing system does not just start the claim, but it also allows the customer to complete the entire process. Claims can also be filed over the phone at 888-595-5485. There is an email address, [email protected], but it appears to be for inquiries on an existing claim rather than to file. Roadside assistance has a different phone number to call for claims, 800-983-3400. Glass repair claims can be handled without a deductible, which is a common feature offered by most insurance companies. We were unable to find a different phone number listed for glass-only claims, however, so these appear to be filed through the main claims system. Metromile does have a network of recommended repair shops, but the customer can choose any shop they prefer for repairs. Claims status can be monitored using the app, by calling the claims center, or by using the email address listed above. Metromile has an A+ rating with the Better Business Bureau (BBB). They have been accredited since 2013, and there are only 38 complaints on file in the past three years, 12 of which were closed in the past 12 months. Google has 213 reviews of Metromile, with an overall 3.8-star rating. The main complaints appear to be about rate increases every 6 months, but there are also some complaints about claims service. There are also plenty of positive reviews, with a lot of comments regarding a good customer service experience. While the complaints talk about rate increases, the positive reviews talk about how much money was saved for occasional and low-mileage drivers. Metromile responds to each review, whether positive or negative, which is something we always like to see in an insurance company. The complaint volume isn’t particularly high for the size of the company, and the positive reviews offer a good balance. The California Department of Insurance conducts consumer complaint studies on all admitted carriers. Their study not only counts complaints but also examines them to determine which are justified and which are without merit. Of the 17 complaints they found for Metromile in 2017, only three were found to be justified. Seven complaints were found to be without merit, while the rest were closed either with company correction or other methods. The justified complaints examination gives a different view from the complaints found online, and it is often more helpful. This is due to the fact that negative reviews may be a result of many causes, including the customer’s lack of understanding in regards to how the insurance policy actually works or what is covered and not covered. Metromile is well worth a closer look for those who do not drive very much. If you work from home, are retired, or often use public transportation instead of driving, they may offer you a much lower rate than you can find anywhere else. For those who do a lot of driving, Metromile is likely to be more expensive than a traditionally rated insurance policy. Metromile’s reputation appears to be solid and they are growing; we would not be surprised if a few years from now they are covering all 50 states. This company, and its approach to rating drivers, will be one to watch in the future. At first, they appear to be practical. Saving on insurance for cars you hardly drive or commute with. I initially started with them a little over a year ago. My base monthly premiums was around ~$50 monthly and they charge for every mile you drive each month. I live within 6 miles of work and only use it to get to the office and home. My monthly bill came out to be ~60 a month. Substantial savings at the time as I was paying about $80 a month with Allstate and wanted to leave them due to bad experience we had with my wife’s vehicle. Fast forward a year later. Every 6 months my policy renews and they increase both my monthly premiums and the cost per mile driven. Before canceling them a few weeks ago, my monthly premium was at ~$70, 40% MORE than what I had started with them and the per mile rate jumped up equally. I’ve zero tickets or accidents that warrants the increases against me. I advise to stay away from this company. They sell you on a decent service at start only to lock you in and raise rates on you in hopes you continue to pay them. I’ve now switched over to Geico and am paying for the EXACT same policy and coverage and only pay $60 a month for UNLIMITED miles driven. I had read the reviews so when they raised my rates after a few months, I expected it. I did not expect them to charge me for miles in an exclusion area – on my last trip to Mexico. Even though their coverage is invalid, they billed me for those trips. Charging someone for a product or service you are not providing is fraud and I reported them to the BBB. I am so disappointed with Metromile Insurance. Their customer service and response to claims and issues are terrible. Plus they raised my rate per mile without notice. I found out when I got the monthly bill. Please take my advice, its not worth the somewhat savings to switch to them. I am so glad I looked up reviews on this company. I will certainly NOT be signing up. Any insurance company can be nice when they are taking your money. What counts is how they act when you actually need to use the insurance coverage. Geico has superior customer service, and I will be staying with them. I am sorry for all those that suffered because of this “scam” company. But thank you for the heads up, you have saved others from making the same mistake…. Geico IS amazing. I had them for many years before I moved to where I don’t drive much. Basically, the only reason I’m still with Metromile is so I don’t lapse in insurance coverage. I only drive my car on the weekends and very minimally at that. I’ll switch to Geico once I have to drive more. After a claims experience that started out on a somewhat negative note when my car was stolen, their response to all of the craziness associated with finding the car and then deciding it needed to be totaled was quite efficient. They made a very fair settlement on the value of my car and paid my credit union quickly. Based on that experience, I will be using MetroMile again, once I decide on a replacement car. I drive such a small amount of miles that, for me, paying a flat yearly rate is not practical. I think I save about $600 a year using MetroMile. I don’t think they offer GAP coverage, which is a concern, and their per mile prices do seem to be rising, so I will keep an eye on that. All things considered, I am willing to give them a second chance. I am glad I looked up Metromile reviews too. I almost switched to save $300 but it clearly is a scam. What a nightmare company. Thank you for sites like this to warn the innocent public about corrupt companies such as Metromile. Very pathetic in handling the claims. I had a very minor collision which created a small dent on the rear right door of my car and paint scratch for 15 inches. I left my car in the body shop as instructed by them. I thought that the insurance company and body shop were in contact and repair was underway. After 3 weeks, when I called the body shop to check about delivering my car, they informed me that repair work had not started since adjusters are not responding on time. When I called the agent [Redacted] to whom my claim was assigned, phewww no response to my calls or to my emails. Later I got hold of another agent [Redacted], who claimed that body shop and the insurance company did not come to an agreement yet. As I was [redacted[ off, since it was 3 weeks already and they did not even come to terms to fix my car. After taking a firm stance to know if they are going to fix the car or not, he insisted to wait for 1 hour for him to check with his supervisors about it. Not to my surprise, I was not called back as promised. I called them back and finally, he told me that they are totaling my vehicle (I was taken aback with their response for such a small dent and scratch). Later the claim was assigned to [Redacted] who spoke to me only once over the phone about the settlement process. I sent the signed Title Transfer docs that she sent me. It’s been more than one month and still, the settlement is not reached the finance company and I am here making another month lease payment even after handing over the car to insurance company more than 1 month ago. [Redacted]’s tone changed after I asked who will take the responsibility for the lease payment during the time when the car was in their possession. She turned out to be rude and said it is between you and the leasing company and I have to make the payment and they will not take responsibility. I clearly informed about the upcoming lease payment 1 month ago. At that time she told me that settlement will be completed and title will be transferred to their name before next lease payment which did not happen because of their sloppy and sluggish response time in handling the claim. Metromile is good to save some money. But when it comes to claims, pathetic they are. I changed my insurance right after that. Thanks for posting this. Metromile is sounding like a scam. Whatever we pay for our policy, it seems from what I’ve read about claim handling, that we are throwing our money down a black hole. My car was stolen from my driveway two weeks ago. The claims adjuster just informed me that it is not unusual for it to take a month or more to settle such a claim.The day before my car was stolen from my driveway, the MetroMile dongle device worked for part of my trip to the supermarket, but did not show me coming home from there. The next day, when I discovered that my car had been stolen I called MetroMile to report it and asked if they could use the transponder to find out where the car was. They told me that it had stopped working 10 minutes after the car had left my driveway and they were not receiving a signal. Today, two weeks later, I received an email telling me that if the device was not plugged back into my car by November 20th, they would start charging me 140 miles a day, according to the terms of my contract. Calling customer service, yet again, (I’ve called them 4 times in the last two weeks) I was told that they had no information showing that the car had been stolen two weeks ago. So, a claims adjuster who doesn’t think that not having a car to drive is such a big deal, working for a company whose right brain doesn’t know what its left brain is doing seems to be a good reason to stay away from MetroMile. I will be moving to a new company as soon as the claim is settled. This is why you should email AND snail mail them ASAP when the incident occurs. For the snail mail have it registered so they have to sign for it and you verify that they received it. You should do this regardless of which insurance company you have. You might consider contacting a lawyer, but the remedy might just be refunding your insurance charges. The lawyer might see something in the insurance contract that shows the responsibility of the insurance company’s obligations. Sorry for your problems with Metromile. I hope the police recover your car. Good advice thank you. MetroMile did respond to my most recent call with an email, letting me know that they had corrected the problem and would not be charging me for any more days. The adjuster also contacted me, responding to my concerns, and assured me that my claim will be settled soon. Thanks again. I appreciate these reviews. I haven’t seen one review where the claim was handled correctly. If there are any out there, I’d appreciate someone posting. I don’t drive my car a lot and the occasion for a claim is minimal at this point. I’m hoping that by the time I will need to drive my car more frequently, MetroMile will have these kinks worked out, otherwise I will be switching to another company as well. Thanks for your response. I also took the reviews seriously when first signing up with MetroMile, but because they really were saving me a lot money (not so much after their recent increase) I thought it was worth the risk. While my initial claim difficulties with MetroMile have been very stress inducing, the fact that they now seem to be working to remedy the problems gives me hope that they really are trying to improve their service. They need a dedicated communication path that will enable clients talk to someone with the authority to resolve some of these problems. The absolutely most frustrating thing about dealing with customer service, true of Metro as well as most other companies, is that representatives usually have limited knowledge and they seldom have the ability to send the problem upward (I think escalate is the trending term) to someone with the knowledge and authority to handle it. Seems to me that a lot of problems could be solved by adding a few more upper level employees to alleviate the frustrations and the complaints. For those who responded to my review of 11/16: MetroMile was in the process of settling my claim as a total loss (I was waiting for paperwork) when a call from Riverside County Sheriff Dept. today let me know that my car had been located (with guns and drugs inside). I don’t know yet about damage, but my claims adjuster was right on the case, arranging for towing to a body shop and taking care of all details. I will do one more update for those who have expressed concerns about timing. Thanks. Update 12-1-17: Long story short- MetroMile was ready to settle the claim on my stolen car within three weeks from the date of the theft. My car was recovered while I was getting ready to sign the paperwork.Car was quickly towed to body shop, evaluated, estimates sent, etc. Today, only 10 days from recovering my car, it was declared a total loss and I am getting ready to sign the new paperwork. I do feel that my my claims adjuster and I got off to a somewhat rocky start but he has given excellent service in the last few weeks. He acted promptly at all stages of the process and I especially appreciated being kept up-to-date on what was happening. I will be likely to use MetroMile again, but I do think they need to do better at inter-department communication. Please stay away from this dishonest company. After a year with no claims no issues Metromile suddenly doubled my insurance for the coming year. I called to cancel my policy and was told that my cancellation was recorded but there was no confirmation # for that. I was also told they were sending a new transponder but that I should just send it back as my policy was ending in a couple of weeks. Then I get an email from them announcing that I will be summarily charged 150 miles every day for not installing the new transponder that they told me to send back!!!! I typically only drive 3-4 days a week and 10-20 miles a day. This is blatantly cheating the consumer, this company deserves to fail as quickly as possible and be sued into oblivion. Anywhere from $75.00 to $125.00 per month. I am not an Insured Client of MetroMile but get billed every month for my vehicle. I did sign up and receive the plugin device when MetroMile offered the free program to track the car. After 12 months they started to offer Insurance. I stipulation was that it could not be driven as a Rideshare Vehicle with LYFT. As I driver I did not accept the insurance. I am now charged 30 miles a day for insurance by this company even through the vehicle is parked and not resisted in the state. I have talked to Customer Service a number of times and have to go through my Credit Card to get refunded but they still charge the card each and every month. This month I receive emails stating “Thank you for signing up as a new client and I will be billed monthly.” I NEVER SIGNED UP IN THE FIRST PLACE SO HOW CAN THEY THANK ME AS A NEW CLIENT ALL OVER AGAIN EXPLAINING WHAT TO EXPECT ON MY FIRST BILL. Have a lawyer write a letter to the company. They should respond to a “cease and desist” letter. It’s a nice idea until you need them. I was stranded on a freeway when my car broke down and waited almost 12 hours for a towing service that never came. They’re a small company so they couldn’t provide any service when I needed it. I ended up paying the towing service myself by calling a private company when it was 9pm and I couldn’t wait any longer for Metromile. Also I was overcharged and I didn’t know. When I tried to add another car, i ran a new quote, first with the same information I had with them at the moment, and I saw that my base rate for the quote was $6/month cheaper and the rate per mile was 25% cheaper. I called customer service and they’re the worst. I looked up GEICO as a friend told me to and sure enough, much better rate with much better coverage. I cancelled Metromile immediately. Then they asked me to return the Metronome (the tracking device) otherwise I would be charged $100. I got this when they were giving it out for free without insurance. AVOID METROMILE AT ALL COSTS!!! These people are a bunch of incompetents who have nothing better to do than driving you insane! I signed up with Metromile on 24 December. My credit card was charged, I received my policy card and device to attach to my car, and then I canceled my other insurance with Progressive. Then, all sorts of problems started. Metromile sent me a letter stating that my policy would be canceled on January 20 due to my license being invalid. Bear in mind, I never had an accident, never got a ticket, never any issues with my previous insurance. I called them. Company closed until January 4, nobody to talk to. I emailed them asking to be contacted asap, as they clearly made a mistake on my account. On January 4 they said that according to them my driving license was invalid. I sent them a copy. Then they said that they tried to pull up my vehicle records and they were blocked by the DMV. I contacted the DMV, nothing wrong according to them. Metromile then started to request my vehicle records, saying they couldn’t get it from the DMV, because the DMV blocked my data. I went to the DMV, wasted 3 hours there talking to different employees who wondered what kind of insurance asks a customer to get his own records (insurance companies do it themselves!!!). They said they never heard of DMV blocking anything and surely didn’t see anything wrong on my license, car, history. They gave me a document, which Metromile is not accepting, asking me to go back to the DMV again today and send them the doc by 4:30pm or my policy will be canceled. It’s 4pm here. I feel abused by this company. They take your money, they deliberately lie refusing customers a service they do qualify for. I am appalled such a company can be in business. Two minor accidents in August 2016, and got fairly good service…. yes, customer service can be slow if you want same-day responses (do not try email for urgent issues, this part is frustrating), but we had not more than 2 weeks total turnaround per claim, including repairs and inspections. Final fault decision is taking longer, however. The insurance itself is outsourced to a company run by General Motors, a tiny American company with no reputation for the past 100 years. Metrognome device never drained our batteries, and having GPS location is a godsend for personal safety. Aside from slow claims resolution and lack of email response (and asking for FAX in this age of computers), I like this company. 21st Century was slow responding also, and did not allow email correspondance as I recall. All these insurance companies are dinosaurs. We live in a tiny town in rural north-central Oregon. My girlfriend and I live together. We have two cars. She took her car on a trip to Portland on August 18. She was rounding a blind curve heading near Government Camp when a deer jumped out. She couldn’t swerve left to avoid it because there were other cars in the opposing lane so she turned right to go into the ditch next to the roadside. The car landed on a big berm where it rested. She was knocked unconscious. Fire department and ambulance rescued her and took her to the hospital in Gresham. The car was towed from there to a yard in Sandy. We live 3 hours from the Portland area. It took our insurance company SIX days to call us and ask where the car was towed to. Then they took another three days to tow it to one of their shops that had a non-storage yard. Of course, the DAY AFTER the accident, they sent a letter saying they would not pay for storage for more than a few days. Yet, at that time, they had NO idea where it was. That shop just looked at the exterior of the vehicle. Supposedly didn’t find anything wrong. There is minor damage, from what I’ve been told. I’ve not seen the vehicle because I’ve been over here the whole time. My girlfriend’s best friend, who lives in Tualatin, was there to help her out after discharge from the emergency room. The insurance company made it a point to send someone over to the ER to talk to her about the accident but that was it until much later after she’d come back home. What’s happened since is huge headache. After several days to a week, they told us that the car needed to be towed to yet ANOTHER shop to have someone look UNDER the car for damage. The adjuster said they could tow it to a preferred shop in Bend, which is 1.5 hours from us and would be much better for us. We said that would be okay. They promised it would be there within the week. It took TWO WEEKS and excuse after excuse after excuse, blaming the tow company, etc. why they couldn’t get the car over to Bend. So they had it towed to a shop in Portland. There, the mechanics looked at it on the lift. They eventually called me days later to say the underside looked okay. However, when they turned the key to start the vehicle they heard a loud clunking sound in the motor compartment. They tried again, same result. They were afraid to run the car for fear of damaging it further. So there it sits. The insurance company hasn’t paid any of the medical bills. They refuse to review the motor compartment, saying they don’t know if that sound has anything to do with the accident. What I don’t get is…if the car was making this kind of sound before the accident, why would my girlfriend have driven it away from the house, let alone up the pass by Mt. Hood? After more prodding and trying to get them to do something about the car, they’ve told us we have to take the car to a shop to have it evaluated on our own dime and, if the clunking sound is deemed to be part of the accident then they would reimburse for the evaluation (though they didn’t come out say they would pay for the repair in that case). That car is a 2002 Buick Rendezvous that has always run like a champ and purred like a kitten. Now it’s got a clunking sound after the accident and they don’t think it has anything to do with driving off the road and into a berm where dirt and rock could get sucked up into the engine? Then they emailed asking what we want to do with the car. I emailed back to say please tow it to Bend as they promised earlier. Several days later they emailed back to say they would not but they would tow it back to near where the accident site was. They have had this car for almost 45 days and there is zero resolution on it. I contacted the Dept. of Consumer and Business Services to file a formal complaint. That agency says the insurance company has 21 days to respond. TWENTY ONE DAYS? Geez. What kind of lame law is that? Why are the laws so lax on insurance companies that DEMAND payment Johnny-on-the-spot or there will be bad consequences? The agency also said it takes about 60 days to review a case because they need to allow time for the insurance company to respond. This is stupid. Meanwhile, we have one car between the two of us. We live in a small isolated rural community. The next nearest town is 36 miles away. There are no services here. The company is Metromile. They are a huge ripoff. We’ve paid faithfully and they’ve done NOTHING but just look at the vehicle. We have no money to go all the way up there and get our vehicle. This company is pulling out all the stops and all the excuses not to do any repairs or anything else on the claim. Meanwhile medical bills, ambulance bills, etc. are all piling up because Metromile hasn’t paid anything. I think some of the medicals have been partially paid by her medical insurance. She thought that was odd. She should know: she’s a senior claims adjustment reviewer for Blue Cross! Yeah, they charge great rates. The app is nice and the dongle…..nice but that’s it. Claims? BAD, BAD, BAD. Use at your own peril! I don’t live in OR, but I work for State Farm in CA. I would find a State Farm agent. I have personally made 61 phone calls for one customer to get their claim resolved (spread between two police depts., 3 insurance companies, one rental car agency, and our insured and his wife). That’s what we do. It’s been over 6 months, but 90% of State Farm’s work was done in the first 2 weeks. They added wrong vin number to my policy and now won’t cover my accident. [Redacted] metromile. Stay away from this company. Why you didn’t check the policy document? Anybody considering metromile should know that they don’t actually process any of their claims and don’t behave like an actual insurance company. They outsource everything claims (and perhaps underwriting?) related to a company called National General. So metromile just signs you up and gives you a nifty website, all of this is great unless you actually have a claim, then it is a nightmare because your claim is outsourced to a 3rd party that is unresponsive, the metromile people can’t help you, etc. etc. I have had a fairly minor claim take a month before getting approval to get my car fixed. So…it is great insurance, unless you actually ever need it. im not even a costumer, and i already dont like their costumer service. im trying t call them and talk to them about getting it, but i have been on the phone for the last 10 listening to fancy music…. The customer service is friendly, but terrible one you get into an accident. They are slow to respond to questions. They have a customer service person who contacts you to make sure you”get what you need” then can’t actually help you. They decided that my hit and run claim was a fraud even though I have witnesses and proof that my car was parked all day with the metronome. They just didn’t want to pay out. They treat me like a criminal and I’ve fired them. How did u handle that? Did you fight it? Agree with this assessment. We too are dealing with their piss-poor claims processing. Monthly rates are great, customer service in general is ok, device and app are ok. But…claims? Totally stink. Our accident happened 45 days ago and still nothing. I was not surprise to see that many negative reviews on their crappy customer services. I, unfortunately, is one of them. **_Firstly, _**on the same day I was being billed on Feb 28, I was called up by my credit card company of a suspected fraud. On Feb 29, I sent in an email informing Metromile on the issue, and asked for a delay of payment for a few days until I get my new credit card delivered to me. I gotten a reply on Mar 1, saying that there is nothing can be done from their side. However, I still received constant notifications on the possible cancellations with the failed payment. It was, to say the least, annoying **to see the same message again and again in my inbox despite explaining my situation (a total of 6 even after I had sent that email!!!! )** Understand that it is an automated email – but couldn’t there be some sort of records done from Metromile’s part for a more pleasant customer experience in terms of receiving reminders that has less frequency, because it is indeed unpleasant to be getting constant reminders of the cancellation when I could not do nothing at those moments. I promptly updated my information once getting a new credit card between Mar 10 – Mar 11, but the deduction failed due to an incorrect billing address. Even so, I had recently moved and could not remember the change. On Mar 13, I received a cancellation notice, and it was a great turn off. On Mar 14, about 6.40am PST, I made a call to express my frustrations on this matter. This leads to **_the second point_ **on how disappointed I was with the customer service on the phone. I did not felt whoever on the line was trying to understand the circumstances and predicament I faced. The bulk of the conversation were fiery due to their inability to do so. **At one point of time, I was being talked back and threatened that she will not help me if I ‘continue to mock’ her. ** I was indeed taken aback by the rude remark. As far as I recall, my concerns were not addressed properly throughout the phone call! “I’m so sorry for the frustrating experience! As a customer, I do not think this is a sincere reply, and whoever replied this was not sorry at all. Great concept, great product, aggressive sales team that bugs you till you are signed up, but the most important value of the product – customer service – is way below the ideal standard. If they want to disrupt, truly disrupt the insurance industry, I can safely say they will fail to do so if they do not work on their quality of customer service. Rude remarks, insincere customer support replies, and a team that could not execute an idea great enough to be sustainable. If you want to try Metromile, be prepared of these sub-standard, half-hearted customer support you receive. Metromile has terrible customer service, dongle is a constant head ache and they won’t pay out on claims. This service is truly a scam, and when you need them they will not be there for you. I thought this was a genious idea, but now I feel duped and embarrassed that I did not do my research and read reviews. You get what you pay for. I now need to find a new plan. Any recommendations? I just joined Metromile for my car insurance. The main reason is money. Their quote for me is approximately $800/yr (including the 3,000 miles per year I drive). Since my milage is low it makes the most sense for me. I like the idea of the app that shows where I parked. I sometimes forget and this will be very useful for me. There is also one other minor but significant change you have not yet updated on your web page. Metromile insurance is now available in California. That is worth announcing in BIG letters. How is the customer service of Metromile. I have been trying to look for reviews of this auto insurance company but I dont find one. I am considering becoming an Über driver, and have been debating as to whether I should change my Insurance coverage from Allstate to MetroMile. Have you come across any insurance issues (good or bad) that are directly related to MetroMiles coverage regarding Uber drivers? Thanks. That is a good question, and one I honestly have not come across yet. Metromile is a good plan for people who drive less than 10k miles a year (average). If you are going to become an Über driver, then you will probably be adding more miles to your annual total. Regardless of which plan you go with, make sure you let your insurance company know that you will be using your car for work. If you carry just a personal policy and never notify them, you risk being denied if you get in an accident while working. Yes, it does look like they are offering a new policy option for Uber drivers. You can find more details by visiting the MetroMile website. I’m an uber driver I pay at least 240.00 monthly. Is there another insurance company that does what metro does. I am unaware of another insurance company that provides Uber insurance the way Metromile does. If you do an updated review, you need to discuss the battery drain issues. The devices drain your battery significantly! I went from no battery issues to two jumpstart in 48 hours. Although they claim to be perfect for people who only drive occasionally, it’s that very low driving that can’t adequately keep a battery charged with this device attached. Completely agree. It’s a huge problem they simply won’t solve after over a year of complaints from many people. I’m at my wits end with them, they say they won’t cover you if the dongle is not plugged in, but when it’s plugged in, there is a serious drain issue–so I’m supposed to accept that?! I’m on my second dongle, which they sent me because they said that the first one wasn’t sending data. It drained my battery slowly, but never so much that I couldn’t start it. Until they sent the second one, which depletes the battery nearly completely (I had to get a charge to start it). Unplugging the device solved the problem, & the garage that I brought my car to to check the battery said it was fine, & that the dongle was likely the culprit. When I use a service, I expect their products to work properly, or for them to admit that for some vehicles there seems to be an issue. They are treating me like I’ve done something wrong by pressing this issue. This is only the worst issue I’ve had with them, it is by far not the only one. I’m considering switching to Metromile, but am hesitating after reading reviews about battery drainage. I also haven’t found any reviews on how good they are at paying claims. I’ll keep checking back for updated reviews. I had the battery drainage problem, too. When I called Metromile, the woman I spoke with was polite and understood the problem and sent me an adapter that can connect to the Metromile device by using the cigarette lighter. Thus it only works while the car was turned on. Unlike plugging into the UBD port, which remains on even when the car is turned off (sort of like leaving the lights on all night). The reason it is so draining is because it keeps the car’s computer components on while plugged in. Thus it drains not only via the Metromile device but also the computers. 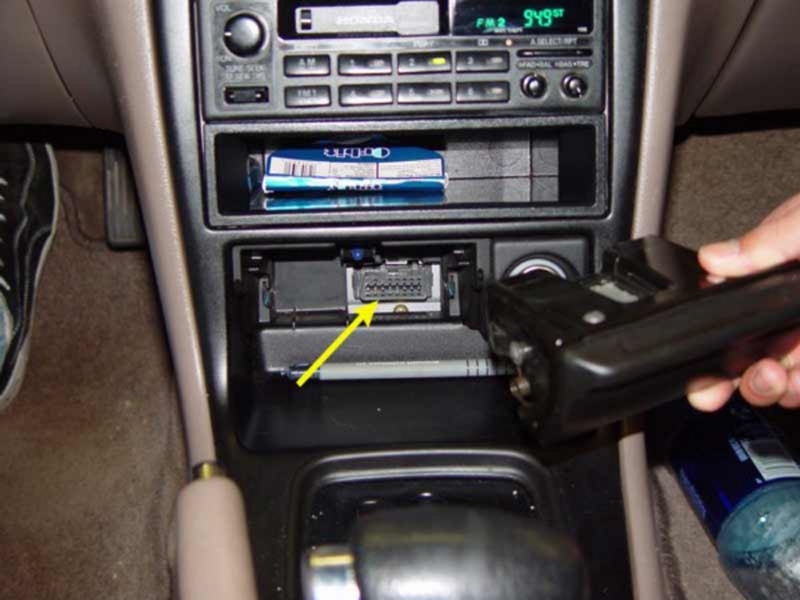 The adapter only has the device running while the car is turned on, and therefore the computers do not also run once the car is turned off. Thank you for your reply Mitch T. If I do in fact sign up for Metromile, I will ask for an adapter at that time. I signed up. I requested an adapter and didn’t receive it so they are extending my grace period another week. I appreciate all the reviews I see here. Where does the metronome go inside of a honda accord 95? i have been looking but i can not find it. Thank you for the info on this company. If you could answer a couple of questions, I will be grateful for the information! My wife and daughter and I drive one car and generally have way under 5K a year in mileage. However, we lease the car to our company for use when it needs to take us to performances. (We are musicians. Sometimes these performance are out-of-state tours which is where we actually use the miles that get us up towards 5,000.) In other words, our company pays us a prorated amount for the miles driven by the company. Thing is metromile doesn’t cover businesses. I wonder what they would say if we had an accident going to or from a performance. My current insurance company has said this use is covered. Any thoughts? The second question – do you think metromile will raise the liability coverage? We buy the max available which is more than metromile offers. Lastly, of the other companies offering mileage-based insurance like this, which do you think are worth considering given my described situation? You are correct. MetroMile offers liability coverage up to $300,000, whereas most other consumer insurance companies offer up to $500,000. My advice would be to call them and see if there is any way to increase that. I have not found anything publically stating they do, but it does not hurt to ask. Regarding the business use of your vehicle, you want to make sure you get an iron-clad answer to this one. People are often unfamiliar with the difference in personal vs. business use, and insuring the vehicle appropriately can be hugely important in the event of an accident. This too will require a call to MetroMile. I would also recommend getting everything in writing (or added to your policy documents). I have no reason to assume they would lie, but just because someone says something over the phone does not mean it will hold up in a court room. If MetroMile will cover you for business use, then they are a great choice when driving around 5K miles a year. You can also check out Progressive’s Snapshot, but just remember that they track more than miles and your rate is based on driving habits like speed and braking as well. Thanks for the info, Eric. I’m considering the change to metromile. Do you have any additional info/updates on their service and your opinion of them, now that some time has passed since writing this? Thanks for the question. I have planned on updating this review with some new info, and should be doing so very shortly. That being said, I do have some initial thoughts after using their free service for a few months. The features are pretty cool. It will break down every trip you take and show individual maps for where the car traveled. It can tell you the average speed, how much gas you used, and the total time spent. I do not actually have insurance through MetroMile right now, but it does tell you how much you would be paying based on your current driving habits. This is a great way to see if it makes sense for you. 1. My wife drives a lot, so it would not make sense for her. I really do not want to have two different insurance policies either. We would lose a few discounts, and the savings probably would not make up much of the difference. 2. The car I actually drive has the OBD II sensor in a weird spot (under the arm rest) which prevents the device from fitting with the arm rest down. It basically makes it a deal breaker at this point. (The car I have it plugged into currently is my wife’s).